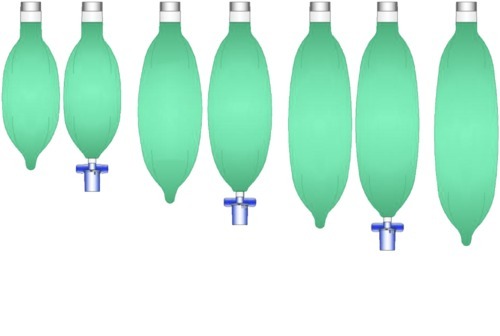 Medline anesthesia breathing bags are made from unique synthetic-rubber blend of materials designed to provide optimal feedback for accurate pressure assessment. All Medline breathing bags are 100 per cent ISO 5362 compliant to meet anesthesia needs. Each bag is inspected to ensure the highest levels of quality and delivers uniform inflation to provide a consistent feel. It accommodates all patient needs and physician preferences and it is offered in a variety of sizes, from 0.5 L to 3 L.